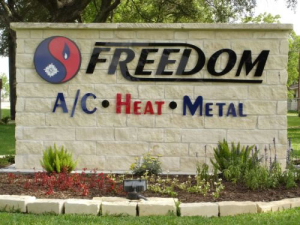 FREEDOM A/C Heat & Metal takes pride in custom fitting air conditioner systems to your family and home. Great care is taken with each and every job we do. No detail is overlooked, including heat load calculations for precise system sizing, and energy efficiency. Custom metal work ensures that your ac installation fits perfectly within your homes design. We want to take the burden of your comfort concerns and place them on our shoulders. 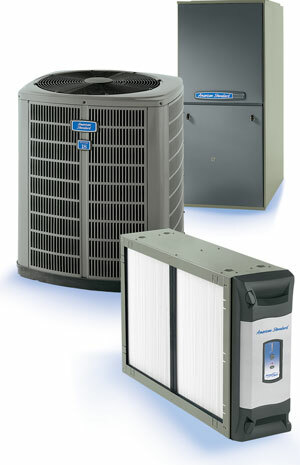 There are hundreds of ways to install an air conditioner and heating system and we want to provide you and your family with the system that best fits your needs. When a technician comes to your home, know you are getting the best. With a solid 20 year history of repairing and installing all makes and models of air conditioner & heater equipment we have the knowledge to solve even the hardest comfort system problems. All A/C Technicians are Drug Free and Background Screened for Your Safety. Our air conditioning & heating technicians will arrive at your home in a fully marked service van, wearing company uniforms. We spare no expense in screening employees to make sure your family is safe. Our reputation depends upon it. Alvin, Bacliff, Bayou Vista, Clear Lake City, Clear Lake Shores, Dickinson, Friendswood, Pearland, Galveston, Hitchcock, Houston, Kemah, La Marque, League City, Santa Fe, Seabrook, Texas City, Tiki Island, and Webster. Office is centrally located so we can respond to your needs quickly. For fast service or emergencies, call: (281) 316-3600 talk to the owner not a dispatcher! 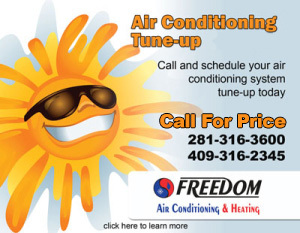 Due to today’s economic struggle FREEDOM A/C would like to give you all options of repair vs. replacement to get you through to a better financial time. 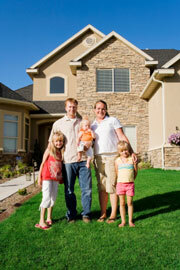 This business is known best by the referrals of satisfied customers.